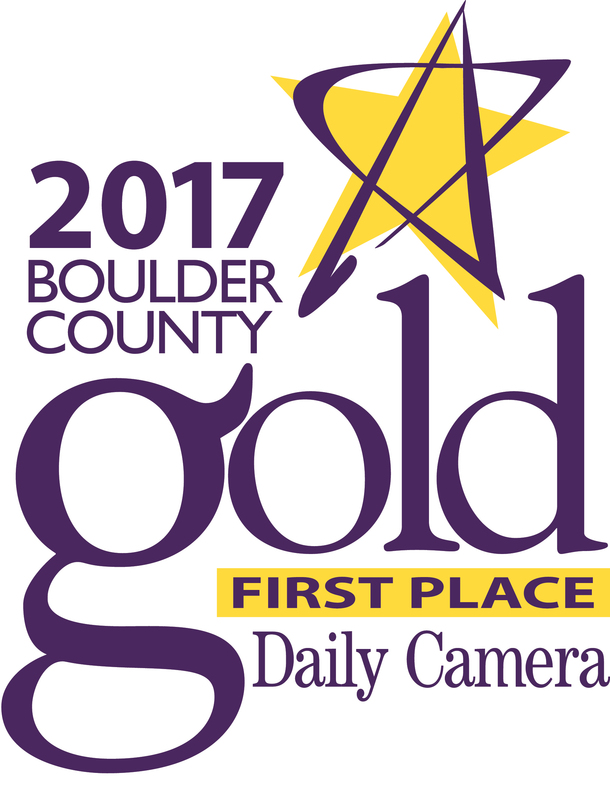 The 2017 Boulder County Gold results are in and local Boulder clothing and gift shop, Jacque Michelle Gifts & Fashion, has received the Best Gift Shop award! The 2017 Boulder County Gold results are in and local Boulder clothing and gift shop, Jacque Michelle Gifts & Fashion, has received the Best Gift Shop award! Jacque Michelle Gifts & Fashion, located at 2670 Broadway St, Boulder, CO, sells a wide and eclectic range of gifts, clothing, greeting cards, stationery, holiday decor, and home style to Boulder County residents and tourists alike. The Boulder County Gold awards are sponsored by the Daily Camera and bestowed in recognition of the area’s finest shops, restaurants, service providers, and more. Voted on by thousands of Boulder County residents and shoppers, the Boulder County Gold awards present first place and runners-up awards to companies and places that represent the best the county has to offer. Jacque Michelle Gifts & Fashion has been open since 1984 and follows a strong tradition of providing extraordinary goods to Boulder, CO residents and friends. With backgrounds in art, exhibit design, personal styling, and the wholesale gift industry, owners Janet Taffet and Kathy Blockwick took over the shop in 2010 and continue to provide the most delightful and unexpected items to their customers. From clever gifts to unique clothing to stylish home décor, customers enjoy the playful, offbeat products Jacque Michelle Gifts & Fashion has to offer. “Our store will continue to search out the best, most unique gifting and fashion items for our original Boulder community,” said Taffet. Jacque Michelle Gifts & Fashion is open Monday through Friday, 9:00am-7:00pm, and weekends 10:00am-5:00pm at 2670 Broadway St, in Boulder, Colorado, or you can find out more online at http://www.JacqueMichelle.com or by calling them at (303) 786-7628. Voted on by thousands of Boulder County residents and shoppers, the Boulder County Gold awards present first place and runners-up awards to companies and places that represent the best the county has Jacque Michelle Gifts & Fashion has been a Boulder, Colorado legend since 1994. Our store is a delightfully clever gift and fashion boutique filled with accessories, jewelry, gifts and clothing.